MANILA -- Detained Senator Leila de Lima could not participate in the oral argument on the petition seeking to invalidate the Philippine government's withdrawal from the Rome Statute of the International Criminal Court (ICC), the Supreme Court (SC) ruled Tuesday. This was announced by SC Spokesman Theodore Te in a press briefing after the High Court's en banc session. The SC has already set the oral arguments on the consolidated petitions seeking to void the Philippine government's withdrawal from the ICC on August 14. “The Court (with 10-2 votes) denied petitioner Senator Leila De Lima’s motion to be allowed to 'appear and personally represent herself' during the oral argument of this case on 14 August 2018,” Te told reporters during the press briefing. Ten magistrates voted to junk de Lima’s motion while two voted to grant it. Te said the justices found “no compelling reason” to grant de Lima's request. The Court noted that the senator, who is currently detained at the Philippine National Police-Custodial Center due to illegal drug charges, failed to raise circumstances or competencies exclusive to her that would make her appearance necessary. “Senator De Lima sought clearance from this Court for her appearance in oral arguments, arguing that, while she is barred by Article VI, Section 14 of the 1987 Constitution from appearing as counsel before any court, she intended to appear in this case not as counsel but in her personal capacity as petitioner. She invoked judicial notice of previous instances when legislators were permitted to appear before the Court in their personal capacities as litigants,” Te said. Under Article VI, Section 4 of the 1987 Constitution, no senator or member of the House of Representatives may personally appear as counsel before any court of justice before the Electoral Tribunals or quasi-judicial and other administrative bodies. 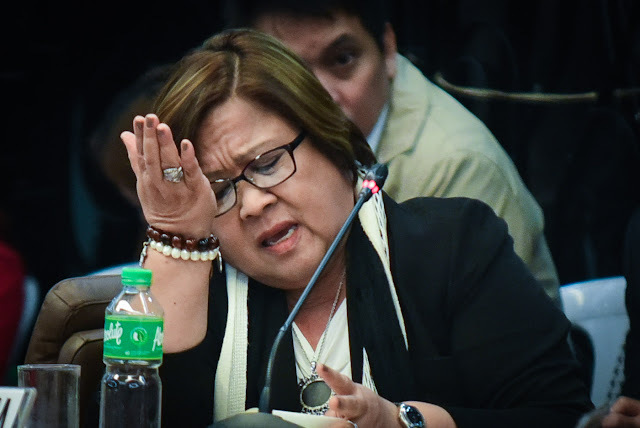 “It noted that Senator de Lima’s capacity to appear for herself must yield to the fundamental restrictions on her liberty borne by her current detention and that, in any case, it does not appear that her and her co-petitioners’ cause would be prejudiced by another counsel appearing in her place,” Te announced. “The Court also pointed out that the subjects of the consolidated petitions are intensely, politically-charged matters. It, thus, exhorted all parties to be tactful and sober and to refrain from any posturing that may detract from a dispassionate, level-headed resolution,” he added. * Whether or not it will diminish the Filipino people’s protection under international law. In their petition, the lawmakers also asked the High Court to compel the Department of Foreign Affairs (DFA) and the Philippine Permanent Mission to the United Nations to notify the United Nations Secretary General that the Philippines is revoking the notice of withdrawal that it received last March 17.